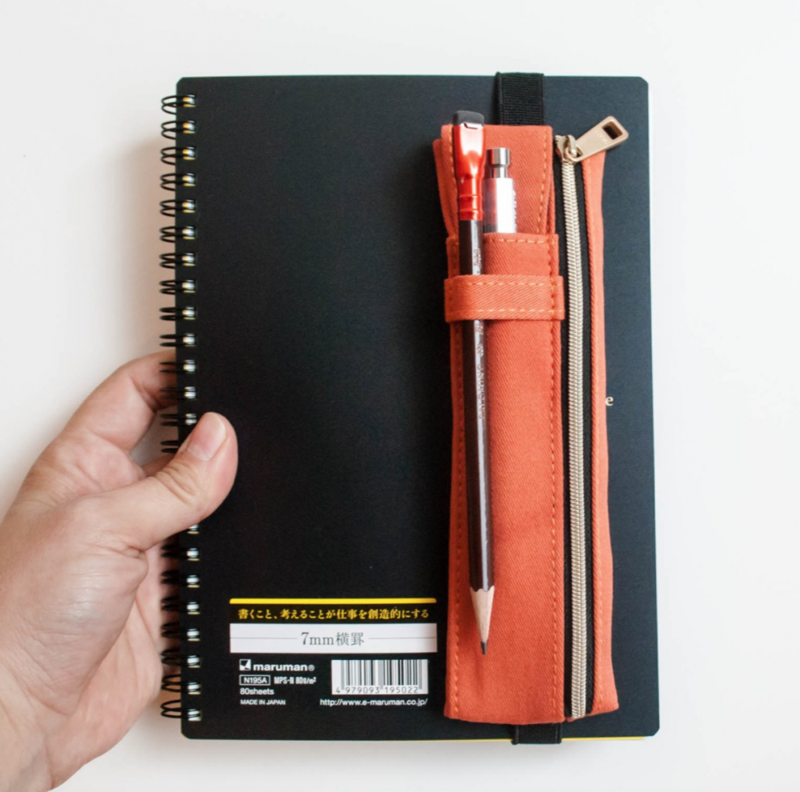 Keep your pencil case and notebook in one place with this smart book strap pen case. 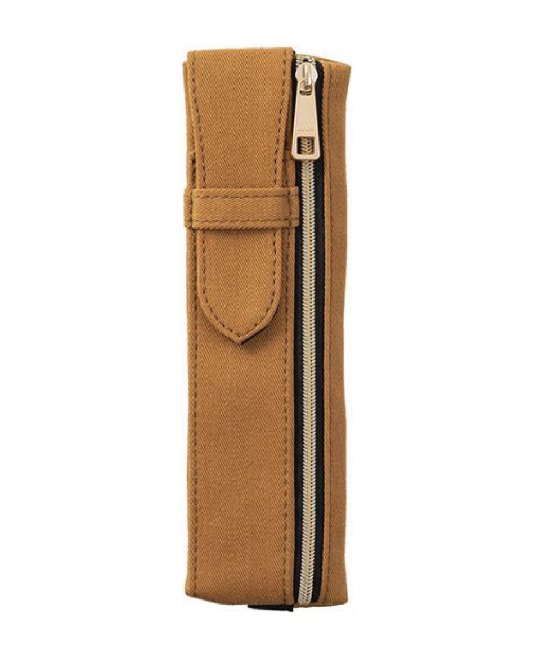 It's compact in design yet spacious enough to carry 4-6 pens or pencils, plus a couple more on the outside slip pockets. The slip pocket features a flap cover to prevent anything from falling out. 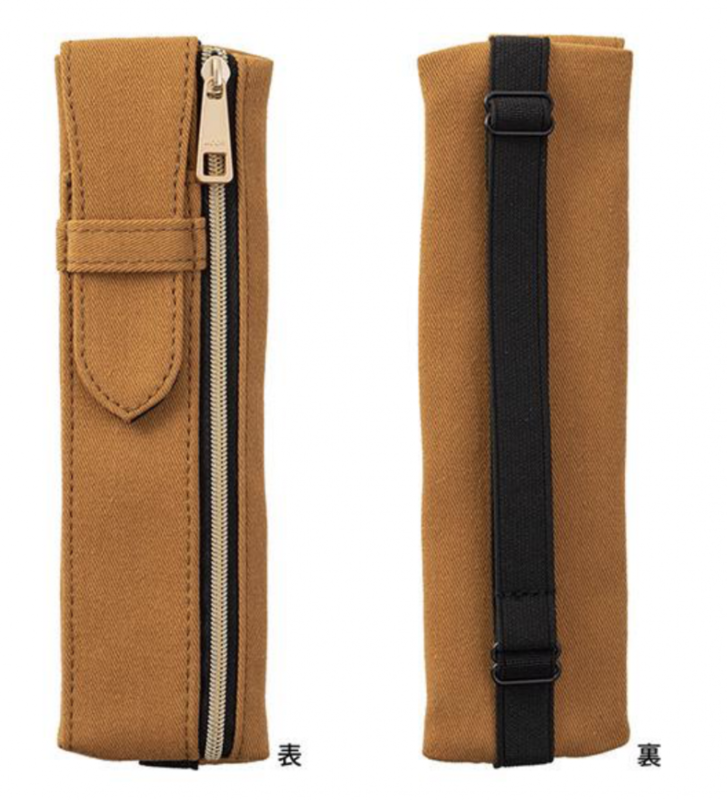 When the flap cover is unnecessary, insert it into the slip pocket for easier access to your favorite pen. Fits books from B6 through A5 size thanks to an adjustable strap. 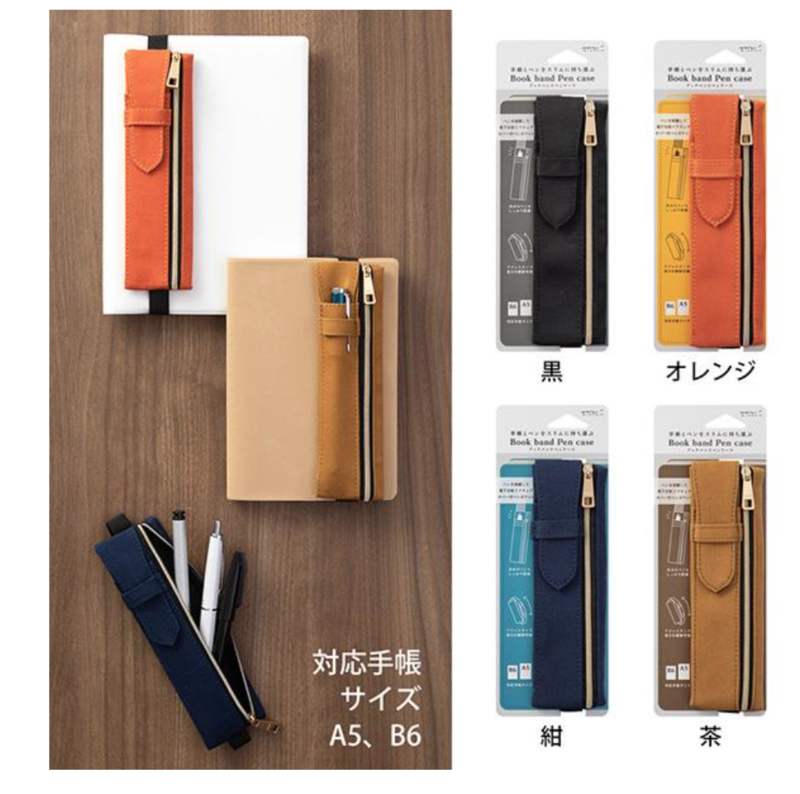 The pencil case itself is made from a cotton-poly blend, combining texture and durability that will wear well over time. Measures H 22,8 × W 8,2 × D 2, 7 cm. Available in 3 colors: Navy, Black, and Brown. B6 books measure H 17,5 ×W 10,5 cm. A5 books measure H 21,0×W 14,8 cm.